From DAKOTA’S DEN: Hi every furry it’s Dakota! While Mom is preparing for yet another lithotripsy (that she will be having this Wednesday) for her kidney stones, I wanted to show you some adorable pet beds. I wanted to completely disclose that I did not receive a bed, so rather than this being a REVIEW, Mom and I agreed to allow Angelina to appear as a guest. We cannot give an honest assessment of the products, not having used them, but we think they are completely ADORABLE! Angelina’s Avenue online pet shop was founded in October of 2012. I wanted to start a small business that I could run myself, making high quality products that would last, unlike what you’d find at a big box store. My 9 year old Lhasa Apso pup Spanky was my inspiration. 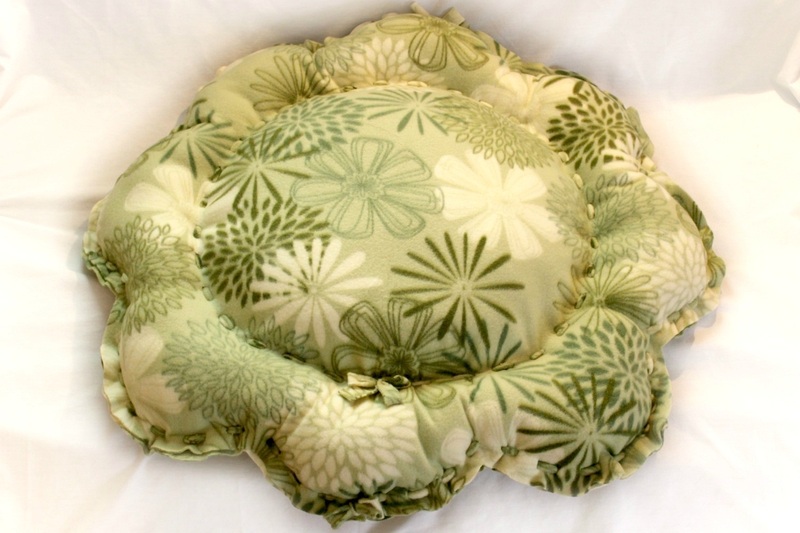 I love creating for pets with modest to luxurious tastes. All of our products are sold at competitive prices and filled with 100% recyclable/non-allergenic stuffing. And for more convenience our beds are machine washable! How long do you spend at the store trying to pick out the perfect mattress? Well, dogs do the same when circling in their beds to find the right position. We offer two different styles of beds, and blankets too! Catered more towards curling up and sleeping comfort is our oval shaped beds. They have bolstered sides that allow for any cat to curl up next to and have a soft and warm nights sleep. Our other style dog bed doubles as a pet bed/decorative floor pillow. I know personally I spent a lot of time looking for a bed that Spanky would love but would look cute in my home as well. I believe our flower shaped bed suits both my needs! 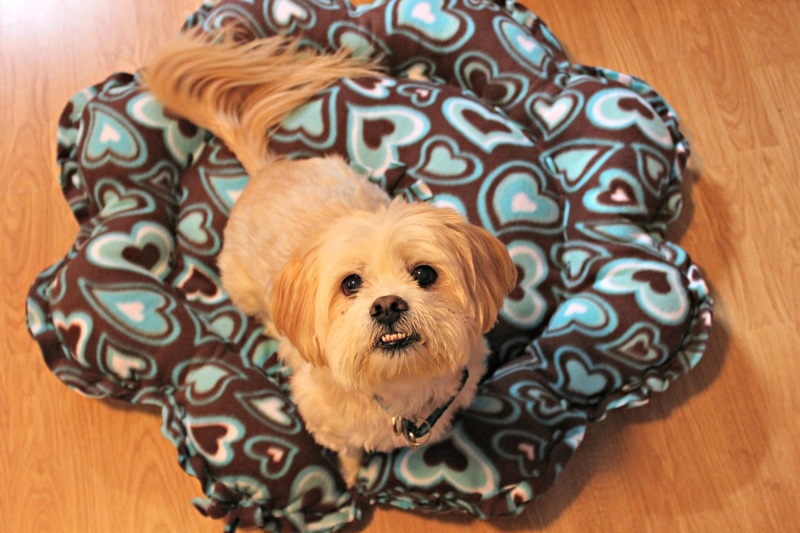 All of our beds come in a variety of different soft blizzard fleece fabric designs to accommodate every home. 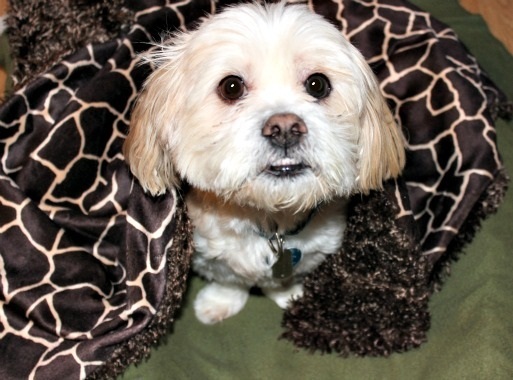 For our more luxurious dogs we’ve created faux fur pet blankets, made from the highest quality faux fur. It is always important to make sure you dog is in a comfortable temperature while sleeping, dogs get hot and cold just as we do. 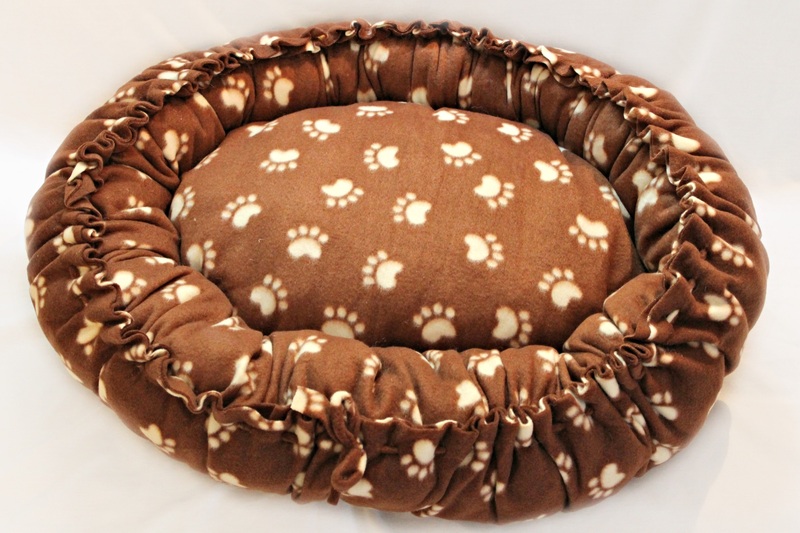 So on those cold nights, lets help our dogs out with a snugly blanket to curl up under. As a special treat we’re offering a limited time 10% off coupon with the code 10OFFAVE at checkout valid until March 30, 2013. Spanky hopes your dogs love our products as much as he does! WOOF! From Dakota’s Den: I read this post from my buddy Chazz on his blog ADOPTED MOM TO CHAZZ and it resonated with me. It made such an impression that I asked Chazz’s Mom if I may re-post this. She graciously gave me her permission. This holiday season let’s celebrate and welcome our differences. Let’s learn from each others’ traditions. Let’s expand our frame of reference to include everyone. It should be a joyous time of year for us all. 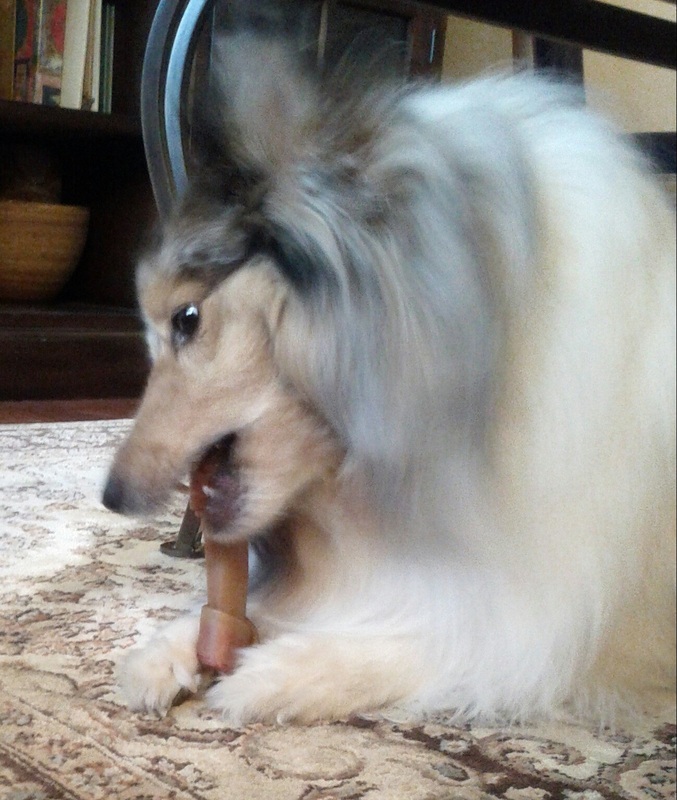 I am proud to welcome ChazzTheDog to our blog today as our guest. Enjoy his post! It is important at this time of the year to enjoy your family and furriends; to gather for food, music, and celebration – whatever your traditions. To remember with fond memories those who have left us in body; but always remain in our hearts in spirit. We never lose the love we have for them – never. And let us remember that while we all belong to different families, we are all part of a bigger family. We all share the important things. To have a furever home, to be loved and give love. Let me tell you a short story: About two years ago when i first came to make this blog; I was asked to join a Dog & Kitteh Christmas Choir. I was very pawcited to be asked to join the group. But I thought I had better tell them that i don’t celebrate Christmas, because I’m Jewish. Now that didn’t mean I didn’t know all the words to the Christmas Carols, because I do…and I wanted to be in da singing group. 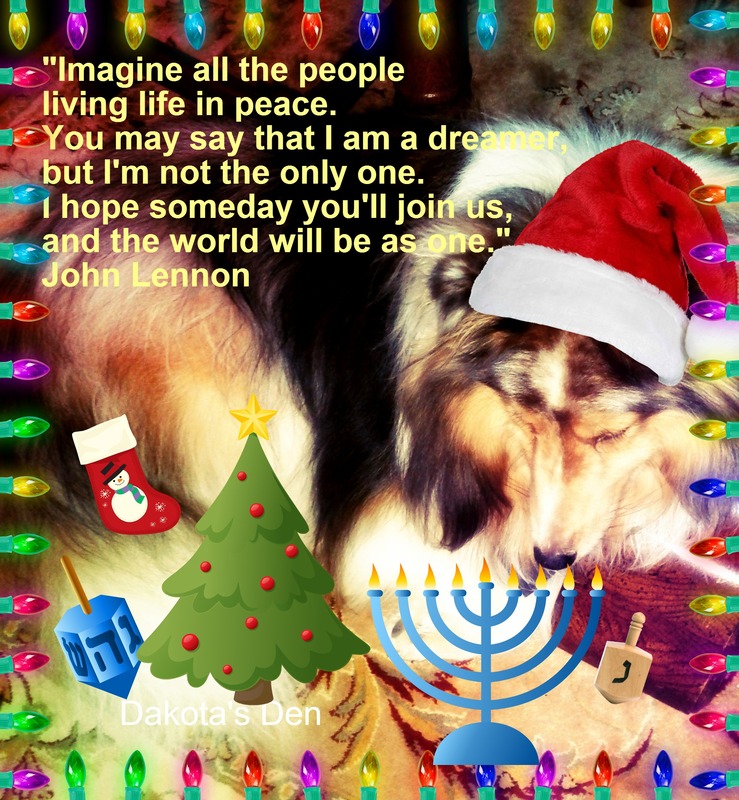 They said that was okay, I could be in da group even though I celebrate Chanukah. We should respect everybody’s personal traditions cause that’s what they believe. So that’s my message as we enter this Holiday Season. Shopping, cooking, baking, wrapping presents, will keep us all very busy in these days leading up to the end of the year and through New Year’s 2013. But it is also important to remember these things. Peace, Love, and Harmony. It’s mostly all we have to give to one another. Little dogs beware, it’s one of the most common neurological problems in pets and quick action could mean the difference between life and death. The condition is a herniated spinal disc, a spinal cord injury that happens most often in smaller breed dogs but can occur in all breeds. The #1 breed where this happens is Dachshunds, with Chihuahuas, Beagles, Cocker Spaniels, and Shih Tzus also experiencing it more often. Disc disease requires prompt diagnosis and treatment to prevent permanent paralysis or other long-term problems for the pet and its owner. 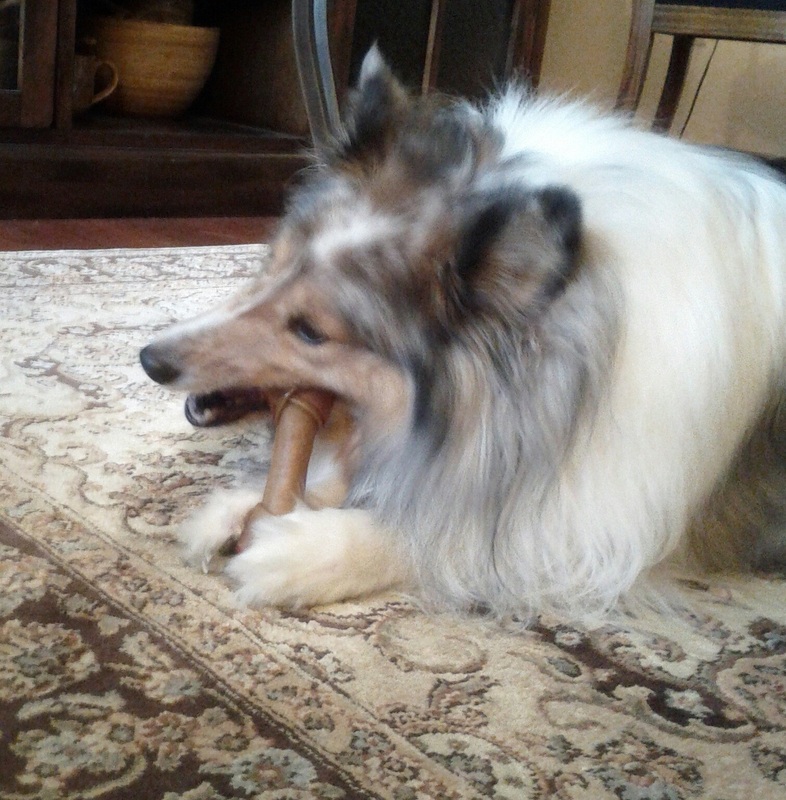 This most often happens in middle age, from about age six on, however it can happen in dogs as young as two. If you see any of these signs, your dog should be examined by your family veterinarian immediately to determine if it needs to be referred to a veterinary neurologist. Early signs of pain can progress to become worse injuries. Any loss of function in the legs (loss of strength or coordination) should be treated as a true emergency, and you should try to take your dog to an emergency clinic if your primary vet is unavailable. IF YOUR DOG HAS SIGNS OF A SPINAL CORD INJURY, IT IS IMPORTANT NOT TO WAIT. If your vet suspects a spinal cord injury, they may prescribe anti-inflammatory or pain medication, or they may suggest advanced testing and treatment, depending on the severity of signs. For severe disc problems, specialty care is necessary for the best chance of recovery. Advanced imaging, such as MRI, can be used to diagnose the problem, and the most serious cases require spinal surgery. Primary care veterinarians will typically refer you to a board-certified veterinary neurologist for such procedures. About the Center for Animal Referral and Emergency Services (CARES): CARES is a full service specialty referral, 24-hour emergency and critical care veterinary hospital, with one clear goal: to provide a gold standard of care for your pet. Our highly trained, hand selected and compassionate team of veterinarians pride themselves in collaboration between the CARES specialties as well as the referring veterinarian. By engaging multiple, dedicated professionals in the care of your pet, CARES provides the latest, most advanced and best treatments available. Specialty and referral services include: Anesthesiology, The Cancer Center at CARES, Cardiology, Clinical Pathology, Dermatology, Internal Medicine, Neurology, Ophthalmology, Radiology and Surgery. 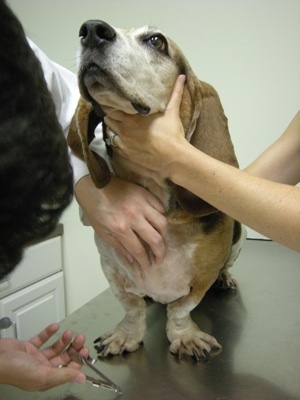 Specialty cases are seen by referral from the primary care veterinarian. CARES also offers 24 hour emergency care. For more information, visit www.vetcares.com. You can also find CARES on Facebook at www.Facebook.com/CARESvet. Heather Kalinowski is a pet lover and new mom who spends her days helping other pet owners protect their pets with cat and dog insurance. Trupanion offers 90% coverage for diagnostic tests, surgeries, medications, and mobility devices if a pet becomes sick or injured. Pet owners are always looking for ways to provide the best quality of care and quality of life for their pets. When a crisis strikes, resulting in a disabled pet, these pet owners will be looking for options to keep their pet living a happy, healthy life. Pet mobility devices are just one option. There are three different kinds of mobility devices: orthotics, prosthetics, and carts. Orthotics are external support structures for a pet’s leg that help reduce pain and maintain comfort. They can be used long-term or for support during the healing process. Prosthetics are used to replace a missing leg or portion of a leg that has been amputated due to a traumatic accident or illness. The device allows the pet to maintain the same level of activity as a pet with all four legs. Carts, often called ‘pet wheelchairs’, are frames in which a pet is placed that replace back-end mobility. Carts are designed to provide support and easy maneuverability for an immobile pet. Typically, a pet must have normal front leg strength in order to power the cart. These assistive devices aid in the well-being of the pet by correcting or accommodating the pet’s leg, including stabilizing a neurologically deficient limb, providing support for a weak joint, or preventing the shortening of muscles. Mobility devices can even sometimes replace a more traumatic treatment, such as amputation, so it’s important to have all the options available to make the best decision for the pet. 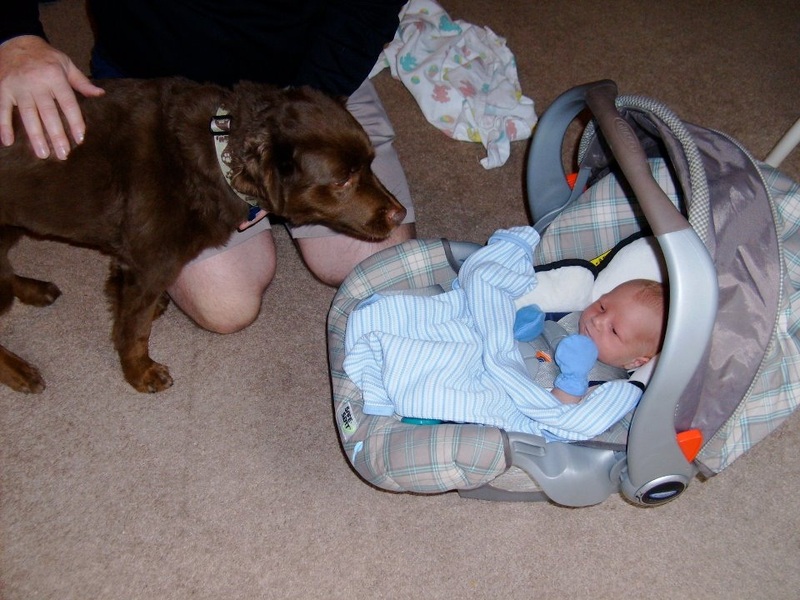 Have you ever had to utilize a mobility device for your pet? This week is National Hurricane Preparedness Week, with the NOAA proclaiming the official hurricane season in the Atlantic beginning June 1 and the Eastern Pacific hurricane season already underway. With both seasons in effect until November 30, this is a critical time for pet owners to mark their checklist and get supplies. In the event of a hurricane, it is NOT safe to let your pets out to go potty. Reasons for this include: storm surges (walls of water up to 20 feet high), winds in excess of 74 mph, inland flooding and down power lines. Begin training your pet to go potty on a designated area indoors, such as the Pet Loo. 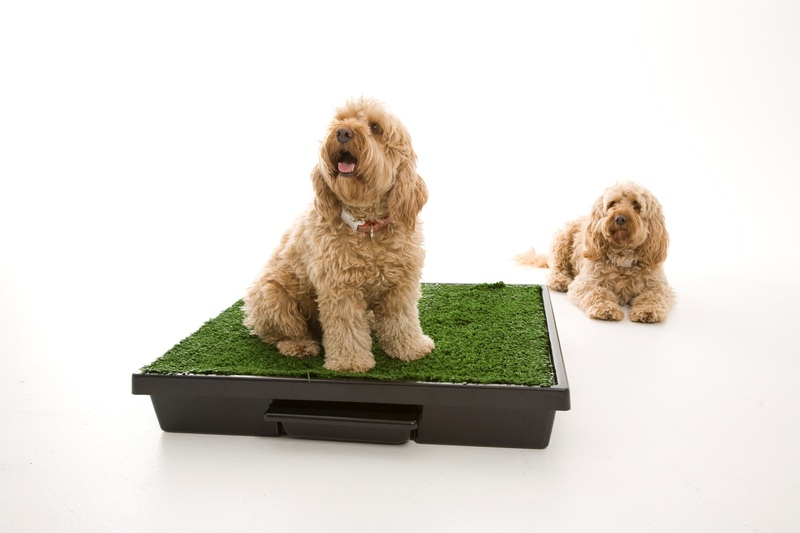 Pets respond to surface training, so the Pet Loo’s grass surface will make training easier by reminding them of the outdoors. Using repetition and praise will condition them that if not let outside, this is the spot where they should go. To speed up training, try using an attractant on the indoor potty’s surface. Skip To My Loo is a spray that mimics urine and is designed to attract and encourage your pet to relieve itself in an area designated by you. Move your indoor potty to the car and practice training there as well in case you need to evacuate. Don’t feed your pet at least two hours before departure. Small amounts of water can be given before the trip. If possible, put ice cubes in the water tray attached to the inside of your pet’s travel case – water will spill! 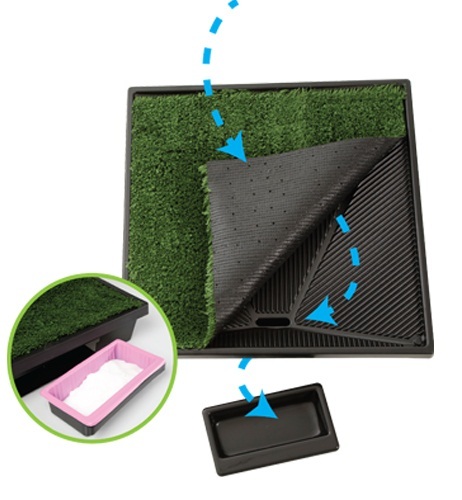 Pack a portable potty in the car. The Pet Loo’s Pee-Pod will absorb urine and turn liquids into a non-odorous, solidified gel that can hold at least 100 times its weight in liquids. This will also prevent sloshing of urine in the potty while the vehicle is in motion. Identify a shelter now. For public health reasons, many emergency shelters cannot accept pets. Find out which hotels/motels in your area allow pets. Include your local animal shelter’s number in your list of emergency numbers, as they might be able to provide information concerning pets during a disaster. Pack a “pet survival” kit which could be easily deployed if disaster hits. Include pet food, bottled water, medications, veterinary records, cat litter/pan, manual can opener, food dishes, a first aid kit and other supplies in case they’re not available later. Tobi Skovron is CEO and Founder of The Pet Loo. In 2003, the Melbourne, Australia native invented the Pet Loo concept at the age of 23. 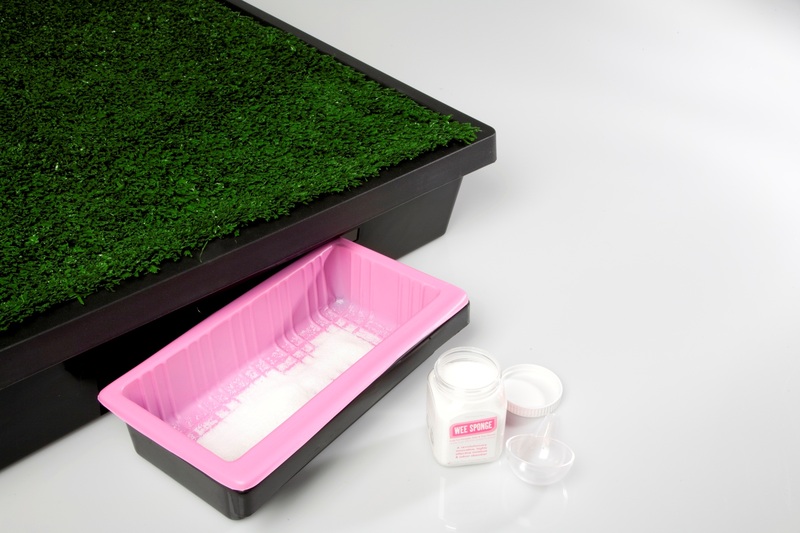 Known as the “backyard in a box,” The Pet Loo provides an indoor potty solution that is ideal for pet owners living in apartments, condos, houses, boats, RVs or any limited area that does not have an easy option for taking a pet outside. The Pet Loo has also proven to be a great help for the elderly and disabled who desire the therapeutic benefits of pet ownership, but are not physically able to meet all of its outside needs. The Spectrum Group partners with Biogal-Galed Labs to distribute Canine VacciCheck™ to Veterinarians, Shelters and Kennels in the U.S. The Spectrum Group, a global leader in veterinary diagnostic and treatment solutions for allergy (SPOT Test) and recurrent bacterial infections (becSCREEN™), has announced its partnership with Biogal-Galed Labs to bring Biogal’s Canine VacciCheck™ to the U.S. pet market. The Canine VacciCheck kit is a single diagnostic test that evaluates the presence or absence of antibodies to three core vaccines, eliminating the possibility of over vaccination. Within 21 minutes, VacciCheck measures the current vaccine antibody levels of canine parvovirus, distemper and infectious hepatitis-adenovirus type 2 viruses, to determine if a booster is required. VacciCheck’s unique ImmunoComb® technology makes it a quick, simple and affordable dot ELISA titer test to quantitatively check for all three core vaccines. This is carried out as a single test in a vet clinic, veterinary lab, animal shelter or boarding facility and can provide results while the patient is present. Levin said in addition to preventing over-vaccination, VacciCheck can help determine the vaccination status of a dog with unknown history. Similarly, it may be utilized to determine if puppies have received adequate immunity from vaccination protocol as well as those with genetic predisposition to immunity. VacciCheck has been described by Prof. Ronald Schultz of the University of Wisconsin -Madison’s School of Veterinary School of Medicine as “a cost-effective, user-friendly and expedient titer test.” A 12-test kit costs $240 for veterinarians. Levin said shelters and rescues should also consider keeping VacciCheck on hand in case a breakout of parvo, distemper or hepatitis occurs. VacciCheck rapidly and affordably tests populations that are susceptible to or protected from these diseases. This allows many animals to live that might otherwise have been euthanized due to unknown antibody status and those without antibodies to be isolated from the population. For more information about VacciCheck, including purchases and video demonstrations, please visit www.vaccicheck.com. The site also contains helpful links to organizations currently benefiting from the use of the product. Spectrum Group, also known as Spectrum Labs, has spent the past 20 years helping both pet parents and veterinarians provide a better quality of life to animals, particularly with its patented SPOT Allergy test. A multifaceted approach that includes comprehensive testing and treatment methods and unique tools such as training DVDs and text/email reminders, has made it possible for Spectrum to provide allergen testing success rates as high as 90%. In 2011, Spectrum added to its line of valuable diagnostic tools by incorporating becSCREEN™, providing insight into recurrent bacterial infections far beyond current methods, allowing for accurate identification of the bacteria as well as the definitive antibiotic required, to combat the infection once and for all. Veterinarians currently serviced by Spectrum Labs reside in all 50 states as well as more than 40 countries around the globe. For more information about Spectrum Labs, visit www.WeAreSpectrum.com. Biogal is headquartered in Israel and was established in 1986 with a focus on the development, manufacturing and marketing of diagnostic tools for the veterinary industry. Its various products are available in over 35 countries. Biogal-Galed jointly and exclusively developed the patented ImmunoComb technology for detecting antibody levels in blood or serum. Biogal’s newest product, VacciCheck™, has recently received USDA approval for the canine market. The feline version of this product is currently in development for the U.S. market. Please visit www.biogal.co.il for more information. From Dakota’s Den: This is a guest post. We were not compensated for this post. 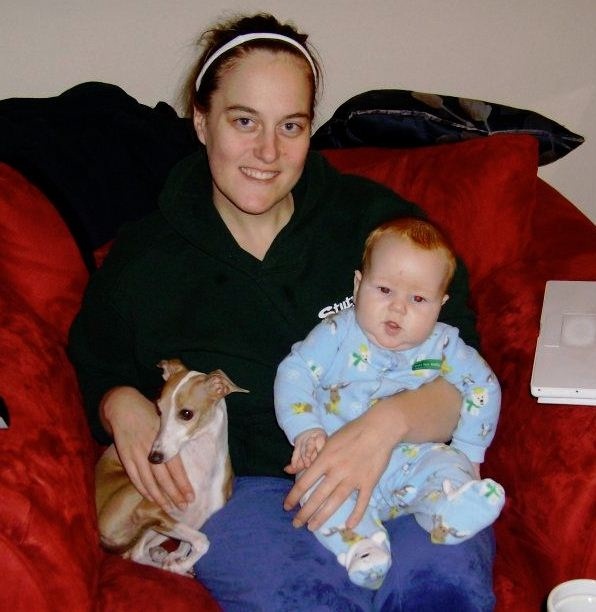 Heather Kalinowski is a pet lover and new mom who spends her days helping other pet owners protect their pets with cat and dog insurance. 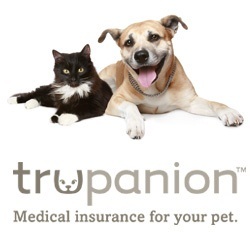 Trupanion offers 90% coverage for diagnostic tests, surgeries, and medications if a pet becomes sick or injured. The American Humane Association dedicates a week every May as Be Kind to Animals Week. We are all encouraged this week to commemorate the role animals play in our lives, promote ways to continue to treat them humanely, and encourage others, especially children, to do the same. As a new mom, that last part really jumped out at me. One of my life goals has always been to teach my children to be kind to animals. I knew that if I could bring another person into this world who would advocate for animals, I would have done a small part in changing the world for the better. My son is seven months old and I have already started to teach him these important values. I have two dogs – an Italian Greyhound named Ava and a Spaniel mix named Jackson. From the day I came home from the hospital, they have been an important part of my son’s life. Every morning when my son and I wake up, we come downstairs followed by our loyal furry companions. He has watched them play, heard them growl and bark, and felt their soft coats almost every day since birth. When he was a few months old, it really started to hit me that I had an incredible responsibility on my shoulders – I needed to make sure I raised this sweet baby in a way that he would understand the plight of these animals, always treating them with love and care, and never hurting them in any way. How could I make sure that he would be an animal advocate? After a lot of thought, I had an epiphany. It was simple. He would learn through MY actions. Values like these aren’t taught in a classroom-like situation. They are taught by example. As my son grows up, he will watch his dad and me caring for our own pets, see how we approach other pets outside our home, visit animal sanctuaries and shelters with us, and hear us discuss animal issues as we tend to do. Eventually, he will be able to ask questions and take part in discussions, and he will understand that animals are amazing creatures that we treat with love and respect. Once I realized this, I relaxed. As long as I lived up to my own values, I could be almost 100% assured that my son (and any future children I have) will hold those values as well. 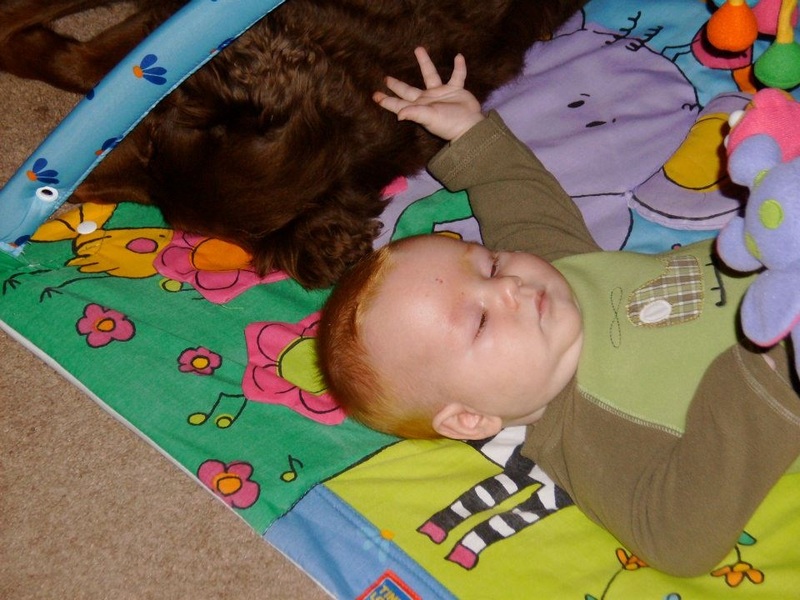 For those of you with children – how did you go about teaching them about animals? And for everyone, how did you come to have the values you have about animals? April is Pet First Aid Awareness Month and the leader in pet safety gear and services, Wag’N Enterprises, reminds pet parents that as the seasons change, so do dangers for the family pet. Before looking forward to warm summer weather, springtime often brings out the worst in Mother Nature with tornadoes, flooding and more. Pet parents should be mindful of certain environmental hazards that could have a devastating effect on pet health. Wag’N Enterprises also encourages creating a pet safety plan this April. According to Pet Tech®, pet first aid is the immediate care given to a pet that has been injured or suddenly becomes ill. This includes home care and when necessary veterinary help. Knowing the skills and techniques of pet first aid can mean the difference between life and death; temporary and permanent disability; and expensive veterinarian bills and reasonable home care. “We want to encourage pet parents to plan ahead for possible pet emergencies by taking small steps that could result in quicker response times during a potential dangerous situation. For example, making sure pet parents understand how to care for an injured pet until it is transported to the local emergency veterinarian can save the pet’s life” said Ines de Pablo, who is a Pet Tech® Certified Master Pet First Aid Instructor and founder of Wag’N Enterprises. “Because there are only little variances between human and animal mechanisms of injury, pet parents can provide basic first aid for injuries and ailments like bleeding and fractures or heat stroke, seizures, choking management and respiratory distress. Just like us, most incidents can be addressed using a first aid skill,” according to de Pablo. She says initial response and care is vital. “You are your pet’s paramedic during a health related emergency until your pet is transported to the veterinarian. Panic and doubt are not going to help your pet and can both place you in danger and further the pet’s injury,” notes de Pablo. 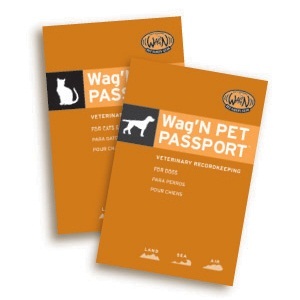 Wag’N Enterprises recommends keeping important pet lifesaving phone numbers both in their cell phone registry and displayed on paper copy in a prominent area of the residence and vehicle. Important numbers include their primary veterinarian as well as their emergency veterinarian’s phone number, the ASPCA Poison Control Center Number (888) 426.4435 and the National Poison Control Number (800)222.1222. Is there an app for that? Wag’N recommends pet parents invest in the PetTech Pet Saver App, available for iPhone, Android phones and Windows 7 phones. The app covers topics such as CPR, heat and cold injuries, choking, snake bites, shock, bleeding protocols, how to restrain and muzzle, what to do in an emergency situation, how to transport an injured pet, the snout-to-tail assessment and more. Each skill includes step-by-step instructions with pictures and narrated audio files. Wag’N warns that this comprehensive pet health app does not circumvent attending a PetTech® Pet First Aid & Care class. Pet owners and pet care professionals can learn pet life-saving skills nationwide from trained instructors. Pet CPR, first aid and care classes are available in the Washington, D.C. area from Wag’N Enterprises and Ines de Pablo. Attendees can expect to learn pet first aid and care training including: restraint and muzzling, CPR, seizure management, choking management, heat and cold injuries, shock management, bleeding injuries, mitigation and response to poisoning emergencies and much more. Founded in 2007, Wag’N Enterprises (http://www.wagnpetsafety.com) offers pet emergency management solutions to service industries, first responders and pet parents to effectively mitigate, prepare for and respond to emergencies that impact pet health and safety. Executive Director of Pet Emergency Management Division Ines de Pablo holds a Master’s Degree in Risk, Crisis & Emergency Management from the prominent George Washington University in Washington, D.C., and has more than a decade of extensive field training experience under her belt. 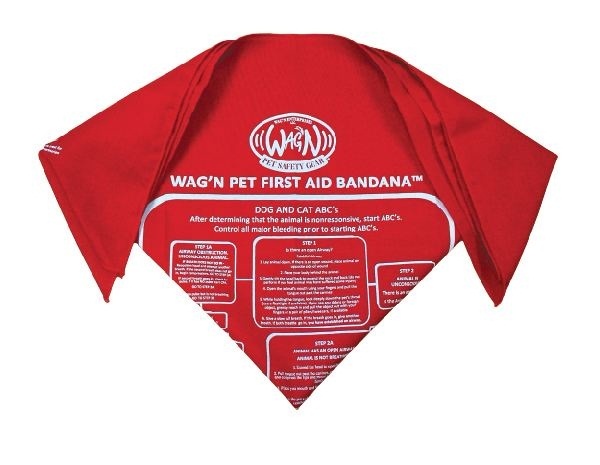 Wag’N Pet Safety Gear is a branded and extensive collection of purposefully designed tools and services giving people and their pets peace of mind in case of an emergency. 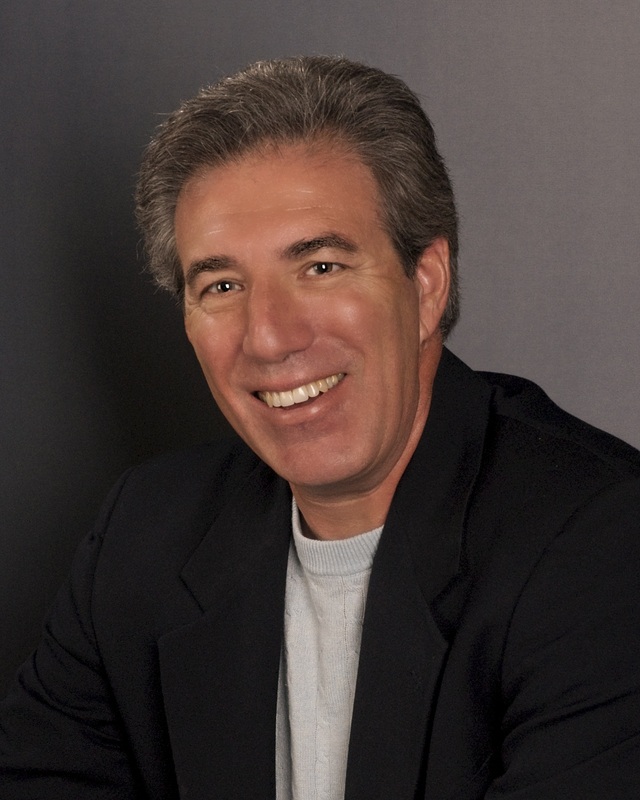 By Martin J. Glinsky, Ph.D.
Pet food products have changed significantly over the last 30 years, as have our purchasing patterns. In the 1970s, almost all pet food was purchased at the grocery store and there was not very much real difference between various brands. Corn, meat and bone meal, animal fat and vitamin/mineral fortification were common ingredients of almost all dry pet foods. Today, a significant amount of pet food is bought at pet food stores, mass market retailers, farm and fleet locations and even on-line (although this is fairly limited at the moment). From a business perspective, pet stores needed high-end pet foods, not available in mass retailers, in order to increase their margins selling pet food and allow them to make a profit. Pet owners would not pay 15-25% more for the same food sold at the pet store. Thus, pet food marketers kept developing more unique foods for this burgeoning retail segment. This proliferation of brands and formulas is an area of intense marketing differentiation. Every brand is looking for an identity that key their marketing efforts. “No corn,” “no soy,” “no wheat” have become important formula attributes in this segment. While there is absolutely no data to support the notion that these three excellent grains are somehow “bad” for pets, the high-end pet food segment, needing to differentiate it from “grocery-store brands,” have developed and proliferated this false theory. There is no doubt that many of today’s high-end pet foods do indeed possess some “performance characteristics” that many pet owners recognize and are willing to pay more for at their pet store. These include higher palatability, lower stool volume, and sometimes, “functional advantages” such as the association of increased levels of omega-3 fatty acids and a healthy immune system. On the other hand, using false and inflammatory statements to try and debase other products is an unscrupulous way to increase sales. It is important to differentiate between sound nutritional concepts and marketing hype. Beware of those products that make claims or allude to concepts that seem overvalued. Contact these companies and ask them if they have scientific data to support their claims. The answer may surprise you, but it shouldn’t. Use common sense when choosing the best food for your pet. Pets, just like humans, require specific nutrients, not necessarily special ingredients, to obtain the nutrition necessary for a healthy life. if a pet becomes sick or injured. April is Prevention of Cruelty to Animals Month. While I believe every day of the year should be dedicated to preventing cruelty to animals, it is nice to have a month dedicated to it, to bring it to the forefront of the minds of all pet owners and non-pet owners alike. It’s an unfortunate fact that we even have to spend any time discussing this, because it means that animal cruelty is still going on in the world. How can we be cruel to animals when they provide nothing but unconditional love, companionship, and in many times safety, to us? I love to read stories about pets that have done heroic things for their humans. So to kick off this month, I thought I would recap some of the great stories I’ve heard of heroic pets. Fidge: A woman became curious when her ten-month-old kitten started crawling up on her chest and sitting on her right breast every night for two weeks. When she went to the doctor, she was told that she had a cancerous lump the size of a pea which could have been fatal if left untreated. Read more about this story here. Mabeline: This Rhodesian Ridgeback mix was available for adoption at the Friends of Strays animal shelter in St. Petersburg, FL. A 17-year-old girl took her out for a walk as part of a volunteer program. During the walk the girl was attacked by a sexual predator. Mabeline barked at the attacker and scared him enough that the girl ran free. Read more about this story here. 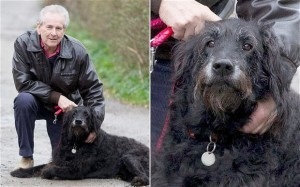 Monty: When his owner fell and landed unconscious at the bottom of a ravine, this Labradoodle stayed faithfully by his side until he woke up and then helped him climb back to the top of the ravine. If that wasn’t enough, Monty then ran to a local pub to get help for his owner, who was badly injured. Read more about this story here. 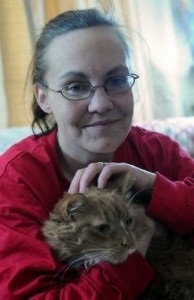 Pudding: This orange tabby cat saved his owner’s life just hours after adoption. When his owner suffered a diabetic seizure, he swatted at her face and bit at her nose to wake her up. When the woman awoke, she tried calling to her son for help, but her son was asleep. Pudding took charge and went into her son’s room to wake him up so he could call for help. Read more about this story here. These are obviously just a fraction of the stories out there of heroic dogs and cats that will go to drastic measures to show their love for their humans. Let’s celebrate our pets and show them love every day like they do for us. Let’s end animal cruelty so there is no need for this month years down the road!